Rashid said Ledger initially dismissed his findings as implausible. 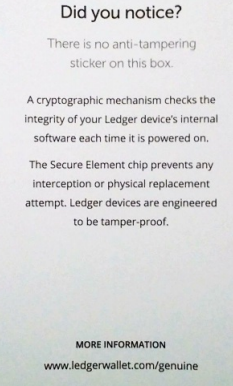 But in a blog post published today, Ledger says it has since fixed the flaw Rasheed found — as well as others discovered and reported by different security researchers — in a firmware update that brings Ledger Nano S devices from firmware version 1.3.1 to version 1.4.1 (the company actually released the firmware update on March 6, potentially giving attackers time to reverse engineer Rashid’s method). The company is still working on an update for its pricier Ledger Blue devices, which company CTO Charles Guillemet said should be ready soon. Guillemet said Nano-S devices should alert users that a firmware update is available when the customer first plugs the device into a computer. “They make it so easy to open the device that you can take your fingernail and open it up,” he said. Asked whether Ledger intends to add tamper protection to its products, Guillemet said such mechanisms do not add any security. Guillemet said despite Rasheed’s findings, he sees no reason to change his recommendation that interested customers should feel free to purchase the company’s products through third party vendors. “As we have upgraded our solution to prove the genuineness of our product using cryptographic checks, I don’t see why we should change this statement,” he said. 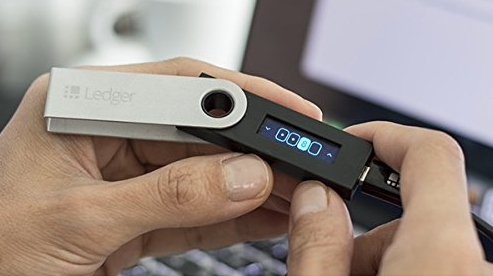 Nevertheless, given that many cryptocurrency owners turn to hardware wallets like Ledger to safeguard some or all of their virtual currency, it’s probably a good idea if you are going to rely on one of these devices to purchase it directly from the source, and to apply any available firmware updates before using it.